Find here Healthy Everyday Pets coupons, vouchers and deals. Pete Evans has worked with one of Australia’s leading pet nutritionists to create Healthy Everyday Pets, aiming to provide healthier, premium quality dog and cat food to the Australian pet market. Enlisting Australian owned manufacturers and using human grade processing facilities we can assure you that you are feeding your pet companion the best pet food Australia has available. Ultra low in sugars and carbohydrates, Healthy Everyday Pets is set to revolutionise the pet food industry. We ensure that each product in our range is full of REAL premium quality ingredients and not sugar filled JUNK food . 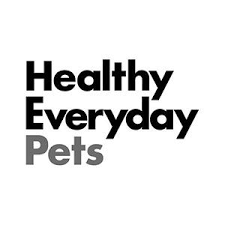 Healthy Everyday Pets by Pete Evans a brand synonymous with quality pet food that you know is good for your best friend. FREE BAG OF PET TREATS WORTH $14.99!